Look no further.... Charming 3-bedroom, 2-bathroom home located in Mary Dale Estates. The home sits on a large fenced lot which is perfect for entertaining or just enjoying the outdoors. The kitchen was recently updated and features stainless appliances and granite counter-tops overlooking the living/family room area. In addition, there is an enclosed back porch, perfect for an Office/Den or Sun Room and the enclosed garage doubles as a bonus room offering another spacious area to relax. New laminate flooring has been recently added to the sunroom, bonus room and the steps/hallway to the bedrooms. The roof was replaced in 2011, the septic system was replaced in 2014 and the electrical panel has also been updated. This lovely home is situated on a well-maintained street with mature landscaping. Central location and close to everything Tampa has to offer. 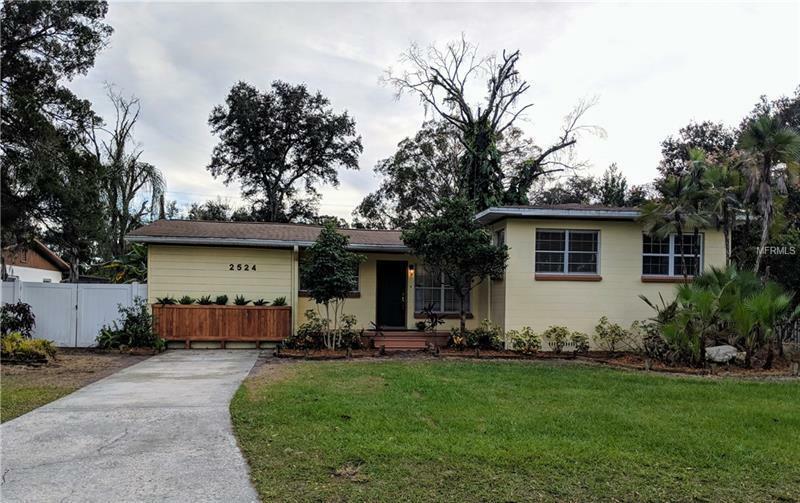 Minutes from Tampa International and Downtown Tampa. Make an appointment today, you will not be disappointed. All information deemed reliable, buyer to verify.